The Fusion Spas Genesis Pedicure offers the ultimate relaxing massage experience for your customers. 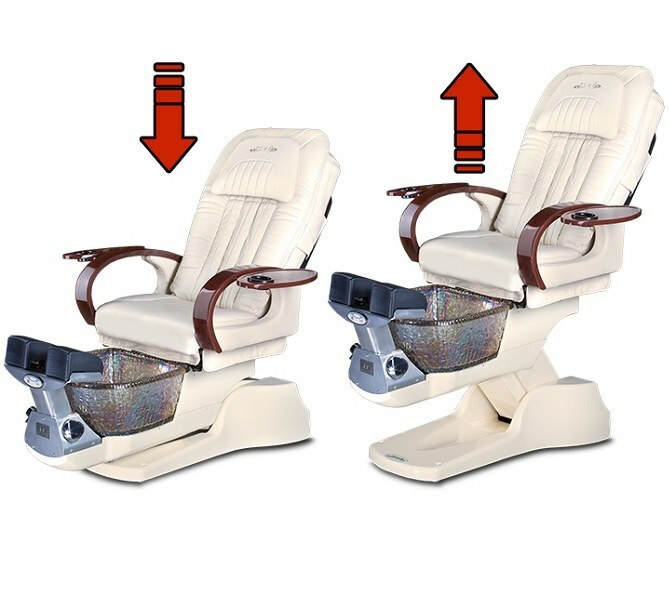 It includes an adjustable seat and bowl maximizing the perfect height for each client. The Purely Simple Pipeless Jet system makes sanitizing between clients a breeze and the durable, high gloss spa tub is scratch resistant available in three color options. It also stands out from the rest with its industry leading 2 year warranty. Capacity of Tub: 5 US Gallon. Plumbing Source: Hot Water 0.5 in. (Fitting Provided), Cold Water 0.5 in. (Fitting Provided), Drain 1.5 in. (See Plumbing Instruction).